For a while, we've wanted to get Black youth here in Baltimore involved in helping us make merch. Thankfully, we were fortunate enough to get the help of Youth In Business to make this a reality! Presenting our “World Without Prisons” shirt, which Mariame Kaba was gracious enough to bestow her words and image to. 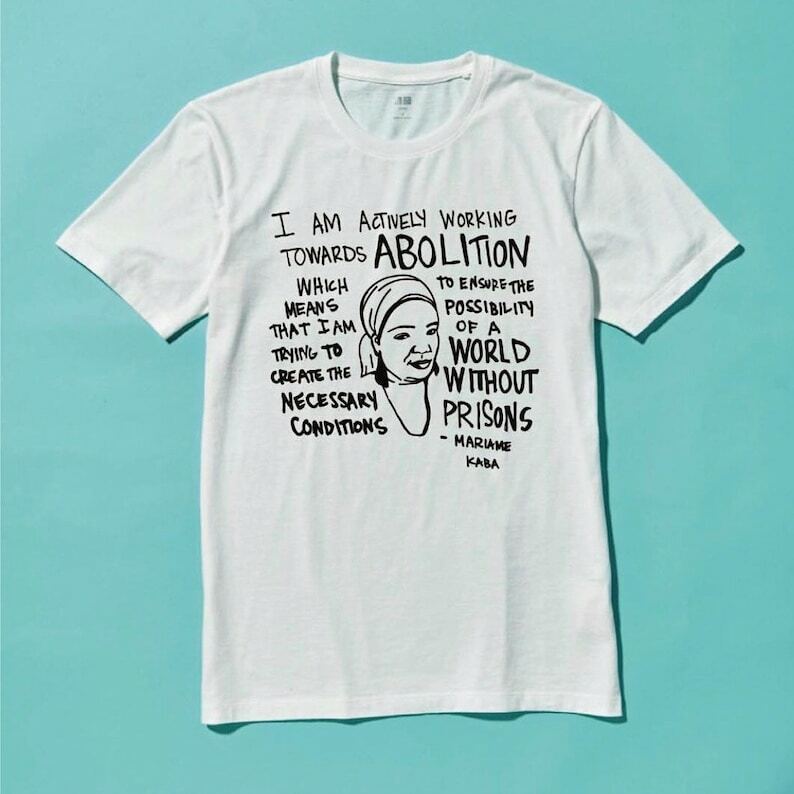 The shirt encourages everyone to imagine a world where people are able to live together in community and work through conflict together, free of the life-altering threat of incarceration. This t-shirt is incredibly soft and comfortable. It's a looser fit, and a long shirt. I wish I had sized down, but it's not unreasonably large! Youth In Business, Baltimore, Md.